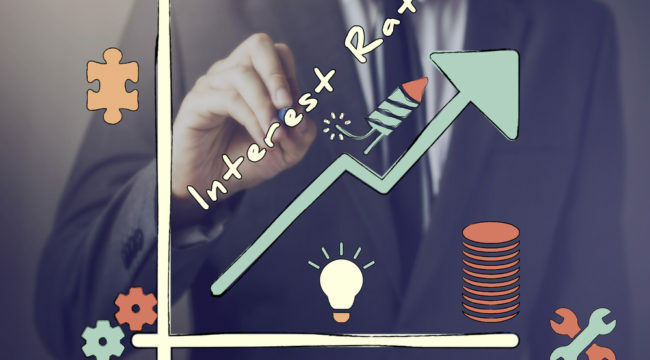 For the first time in a year, the Federal Reserve raised the federal funds rate a quarter of a percentage point to 0.50%. The stock market game didn’t like the news. The Dow Jones closed down 118 points for the day. And predictably, market “experts” drew all the wrong conclusions from the Fed’s move. The rate hike wasn’t a surprise. Everyone with a pulse knew it was 100% priced in beforehand. 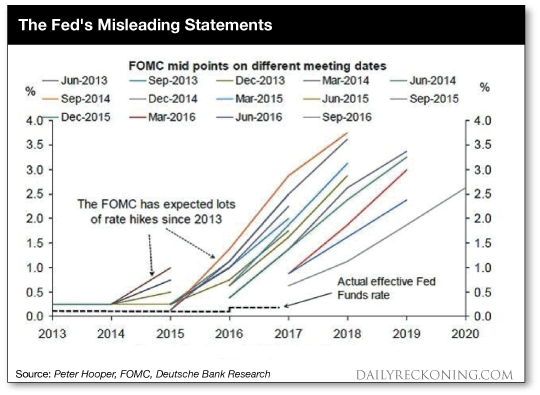 But what did shock and unnerve assorted “analysts” were the Fed’s rate projection talking points for 2017. Now, a plurality of the Fed’s rate-setting committee believes the central bank will raise rates three times next year, compared with two hikes expected in the batch of projections released in September. The negative market reaction happened because the Fed indicated it anticipated raising rates three times in 2017 instead of its previous statement of two. Well, after the Fed raised interest rates for the first time in a decade in December 2015, Fed politicians projected four hikes for 2016. But there was only one. Not even close. Knowing this, who in their right mind would pay attention to such forward “guidance” for next year, or any year for that matter? To be fair, maybe last year’s ridiculously bad Fed projection was just an outlier.